What is a Collateralized Loan From The Perspective Of Crypto ? Lending and borrowing is the most basic financial service that billions of people around the world enjoy. But so far this service has been only accessible to, well-to-do working or business class with a decent credit score or rating. This is changing now as the market has invented crypto collateralized loans for people who don’t have an established credit score history or something similar. But before we talk about crypto collateralized loans, I think we need to talk about collateralized loans itself, as many of you might not be aware of it. What Is collateralized Lending & Borrowing?? 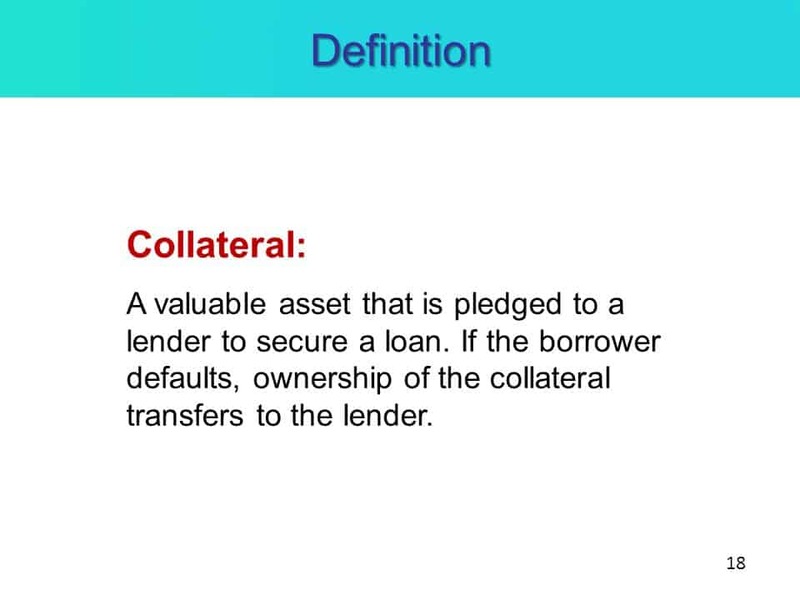 And in the realm of lending and borrowing, collateral means an asset that is pledged as security or as a guarantee by a borrower against the funds he/she is receiving. This is collateralized borrowing. Similarly, in collateralized lending, the lenders hold the collateral with themselves as security against the amount they have lent to the borrower. Having said that in the traditional lending and borrowing market this collateral could be anything such as real estate, equities, bonds, car, or any other valuable asset that has a market value. Lastly, this form of lending and borrowing is prevalent around the world as anyone can leverage their assets to take out a loan for almost any purpose. These are called collateralized loans. Now, that let’s move on to crypto collateralized loans or lending. What Is Crypto Collateralized Loans or Lending? As it is apparent from its name itself that crypto collateralized loan is a type of borrowing where a borrower pledges or collateralizes his/her cryptocurrencies to receive the funds. Let’s take the example of Nexo. With the Nexo lending platform, which is a crypto lending service anyone can borrow against their cryptocurrencies. Borrowers need to send their crypto to them, and in return, they get USD, or EUR, or stablecoin (USDT, USDC). But how much the borrowers get depends upon the amount of collateral they have put in and the LTV ration that Nexo is giving them. For example, if a borrower has collateralized $20,000 worth of BTC at an LTV of 50%, then the borrower will receive $10,000 in USD, or EUR, or stablecoin (USDT, USDC). Of course, this $10,000 will be available at an interest rate. For now, let’s assume that it is 5% annually. And once the borrower repays this $10,000 plus the appropriate interest rate amount, he/she will get back the BTC they have deposited with Nexo as collateral. 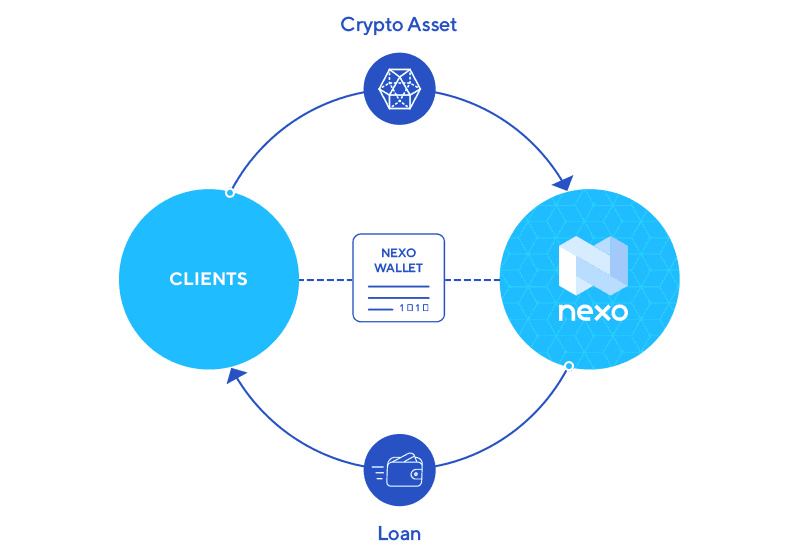 As of now, Nexo provides crypto backed loans in 200+ jurisdictions across the globe in 40+ currencies. Moreover, it is the only platform which accepts the most number of cryptocurrencies for crypto back loans making it an instantly accessible crypto credit line. Why Do We Need crypto as collateral? Collateral is needed in these types of loans to create a win-win situation for both lenders and borrowers. On the lender’s side, having collateral is a risk mitigation technique where the lender can remain assured that his/her money will be returned back to him/her in case the borrower defaults on repayment of the loan. This is done through liquidation of collateral or by rebalancing the loan. Plus lenders lend their money for an interest rate, thereby earning extra bucks on their capital. On the borrower’s side putting collateral and using it for taking a loan is an advantageous thing for the borrower. This way they can bring much-needed liquidity for themselves to pay for other things and at the same time don’t give up their advantage of holding cryptocurrencies. That’s why it is win-win for both the parties involved. There are many advantages of crypto backed loans but amongst those, I think the usecase of P2P lending is the most advantageous one. Blockchain-based cryptocurrencies are natively peer-to-peer and it is quite easy to track things over an open blockchain architecture rather than a centralized one. Doing peer-to-peer lending over blockchain is also very much cost effective as the movement of money can happen very cheaply. As of now, even domestic transfers can take up to 30 $-40 $ within the US, which is simply too much. Moreover, many operations while a lending and borrowing cycle can be automated using smart contracts which makes it even more cost-effective from the point of view of business owners. And when these business owners save money in their operations, it will definitely result in some direct or indirect benefits for the lenders and borrowers. From lenders, these crypto lending services have now started offering 6-7% interest. This is like having a savings account which is yielding 3-4 times more than the traditional savings account. Last but not least, transactions on blockchain can be designed to happen almost instantly, which makes the whole lending and borrowing cycle swift as compared to our legacy system. So that’s all from TheMoneyMongers today and we shall be very soon back with something even more interesting and enlightening for our readers interested in crypto loans. Stay safe and invest responsibility by never investing more than what you can afford to lose in cryptoassets.